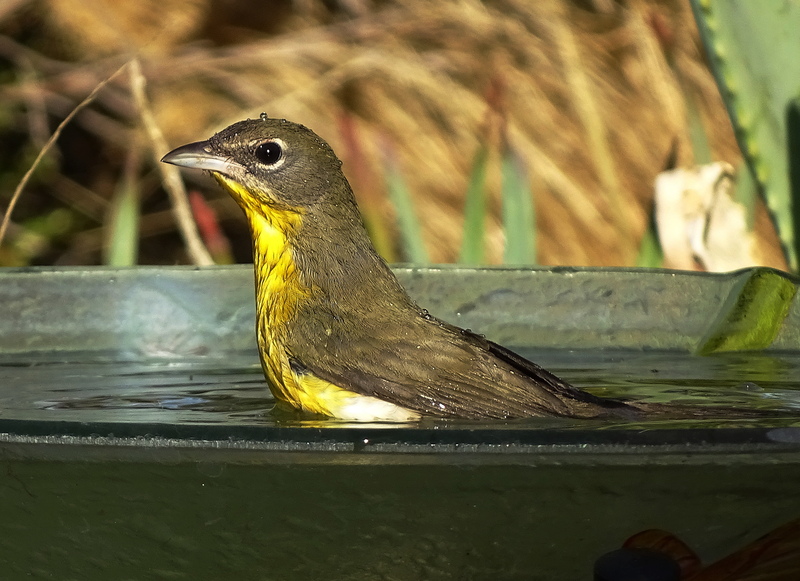 Check out some of The Holler’s shy guys like this very skittish Yellow Breasted Chat. Black Phoebe’s are some of my favorite birds. They sleep under our porch roof all year and will not budge from the perch in winter. It’s too cold to move! They are avid people watchers. 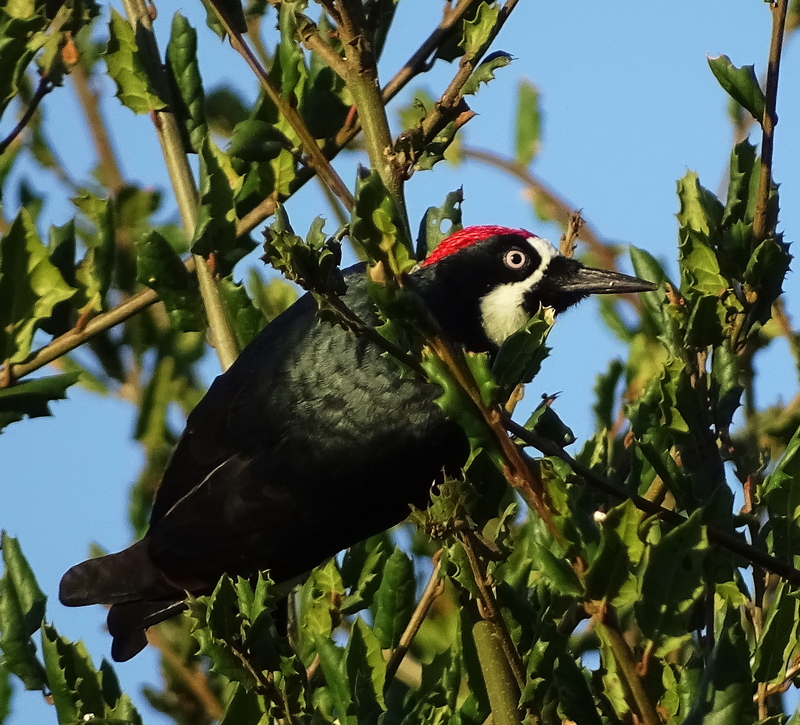 Acorn Woodpeckers are extremely shy at The Holler, and hard to capture, because they have large oak groves to select acorns from and rarely bother to visit the feeders. They always seem to know where I am before I do! 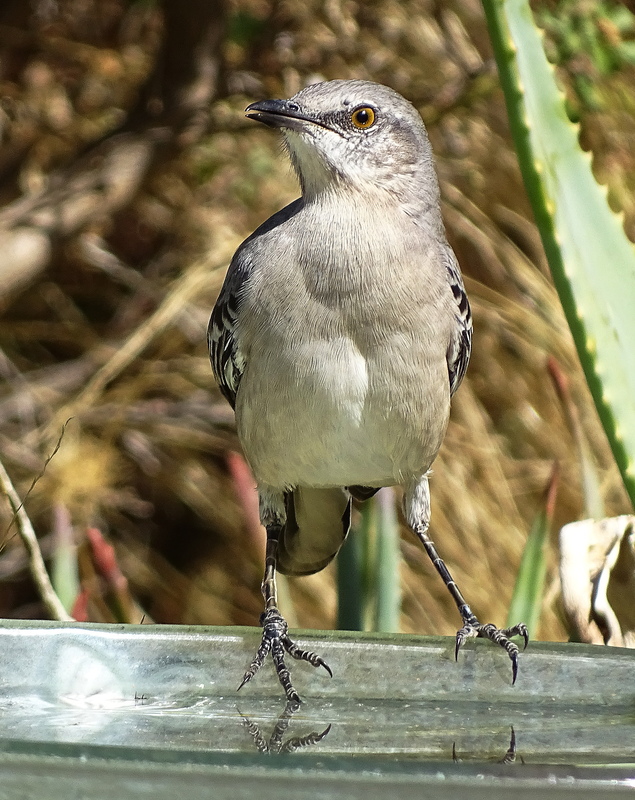 Mockingbirds only visit the bird baths on very hot days. 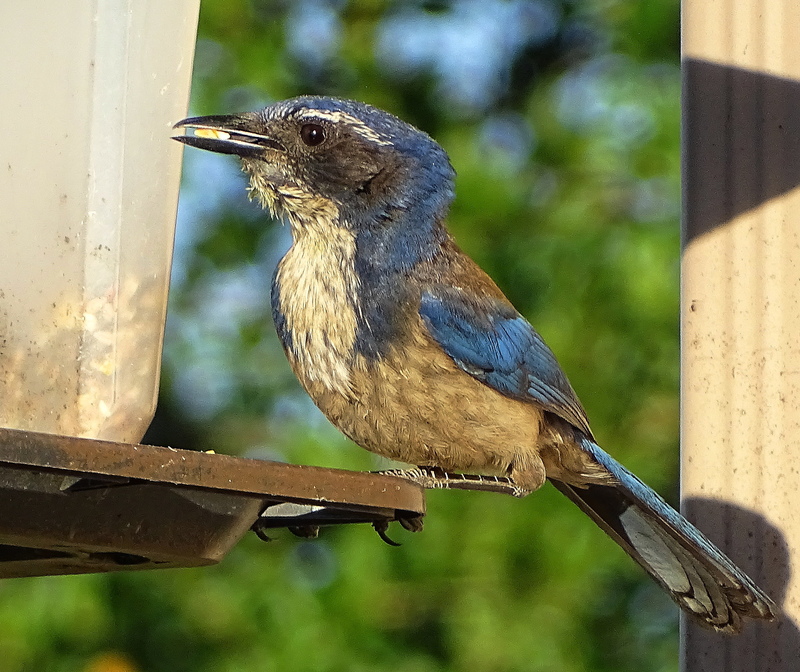 This Scrub Jay is worse for wear. It looks like something, probably the Roadrunner, grabbed him by the neck. But he got away and recovered, helped by copious quantities of Holler seeds. 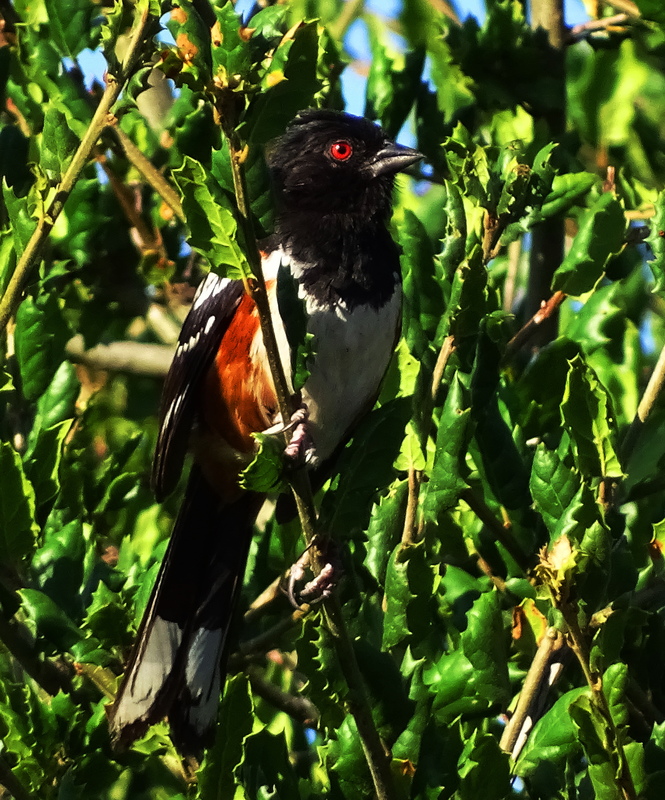 Spotted Towhees are very rare Holler visitors. 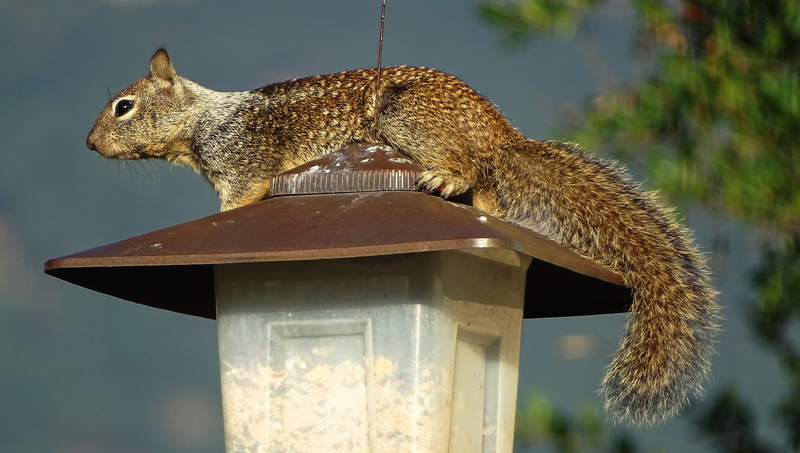 And then of course we have very shy Squirrely who thinks he’s a bird. Great photos like these must have taken quite a bit of patience. I’ve had good luck with butterflies, bees, and spiders, but the birds always fly away before I can snap them. The Spotted Towhee is gorgeous. The 🐦🐦, and I thank you for the appreciation Brad & cheers to you! Cindy, you never fail to amaze me with your photo captures! So many interesting critters at the Holler!! I always think of your pope cap when I see him! Such a perfect descriptor! So beautiful. 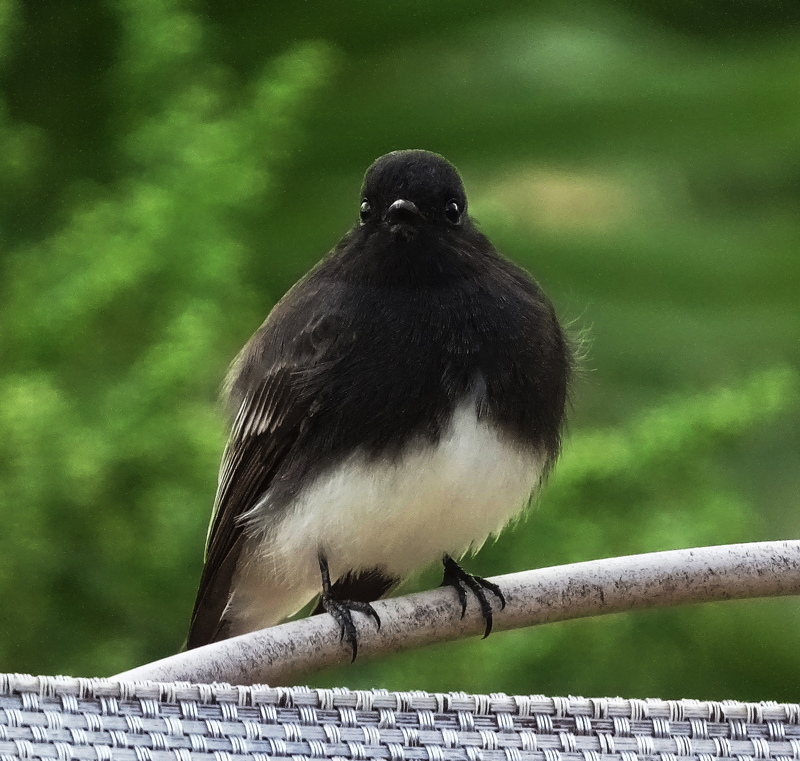 I’ve never seen a Black Phoebe but now that I have…I just love them. So adorable. Soft and fuzzy. Red eyes…gorgeous, a spotted squirrel and all the other lovelies. Thank you so much. Those are wonderful photos. I rarely see birds in nature. They are always too far away for clarity so this is a treat. It is exactly the same for me. I only started taking photos when I retired. I was stunned by what the camera showed me. When I take photos, it’s point, shoot and pray. Hoping there is something to see when I get to look at it close. Blogging created the desire to photograph more and taught me to be more observant. Retirement has so many surprising benefits, doesn’t it? Yes, retirement rocks! It’s like being a kid again with no parents to tell you what to do! I am cutting out early tonight as friends are coming to supper. Always a pleasure to share the photography of Cindy Knoke. I love my sparrows, blackbirds, starlings and doves.. but how wonderful to look out at your garden and see these beauties. #recommended. Oh, your kindness is very much appreciated! 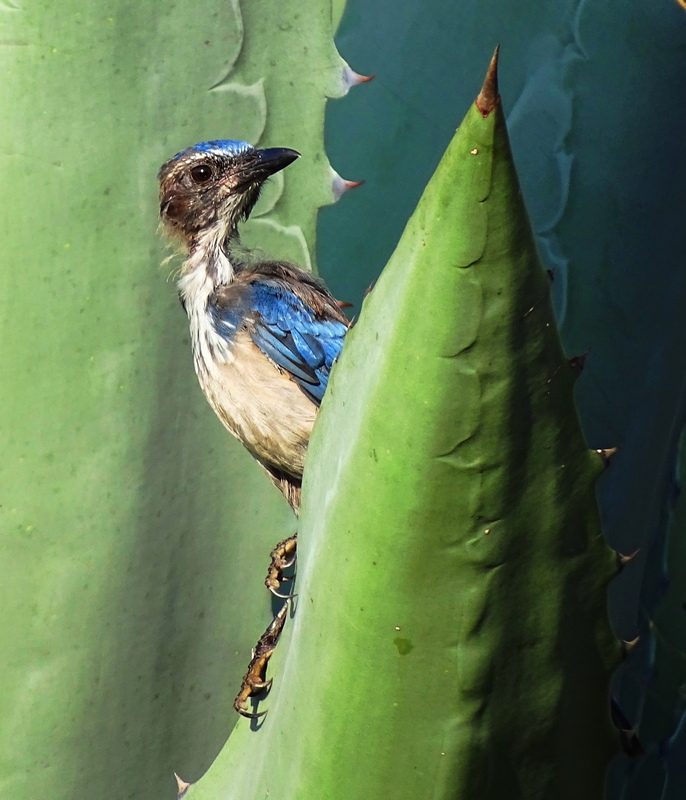 Oh dear, the poor scrub jay. Talk about having a bad day! I saw a roadrunner once in Texas, funny looking thing. They live with us like pets! The 🐤🐤 and I appreciate it my friend and Happy Friday! Grazie. It is so good to see you back in blogsville Pauline! Very happy you like him! 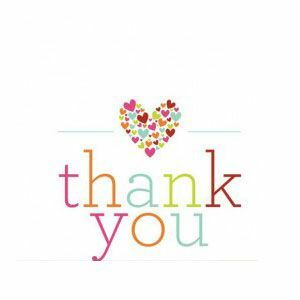 Thank you for appreciating the 🕊️🕊️! These are all wonderful shots, dear Cindy. The shy ones are worth the challenge of capturing on camera. Beautiful birds and you capture them well. Wonderful photos! You have such an amazing variety of wildlife. I can’t imagine living without wildlife around me. Today I whistled a tune that actually stopped the roadrunner in his tracks to listen! Thank you very much & cheers! Wow! They all seem to be musing and posing for you. Love these beauties. 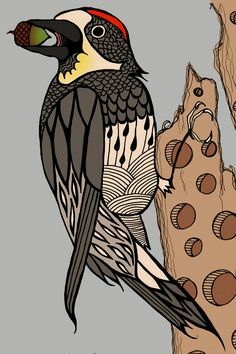 Anyone who loves 🐦🐦 is a friend of mine! Cindy, you are amazing in your ability to get all these birds to come visit. Your captures are awesome. 🙂 I’m so glad you fattened up that scrub jay! So happy the roadrunner didn’t kill him. The skilled, and patient, photographer catches even the most shy ones beautifully. Awww, so kind and have a wonderful week! Such a beautiful assortment of feathered and furry wild friends you have! Looking at your wonderful nature photos brightens the day. Awww, makes me so glad I posted. Thank you. Your comment brightened my day! 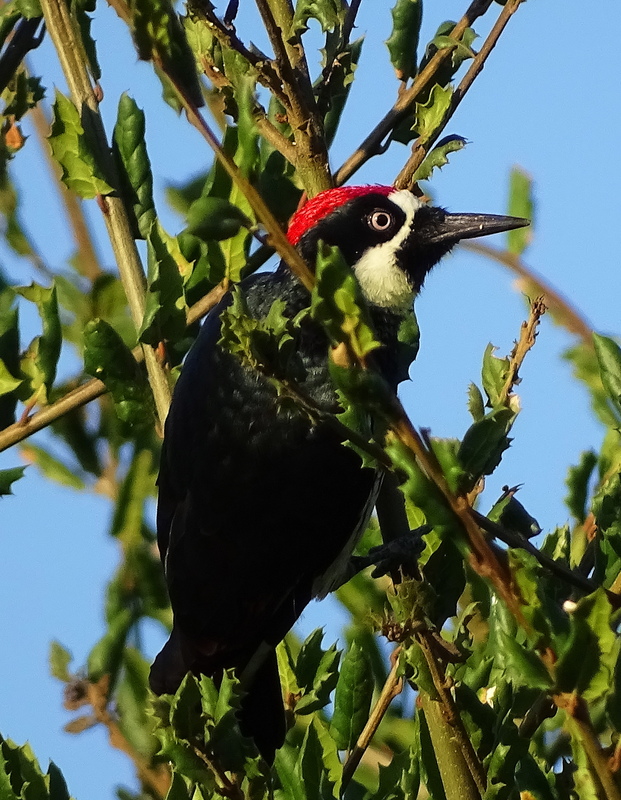 Nice collection of birds, and great images. Thanks so much & cheers to you! What a wonderful collection, Cindy! Your shots are beautifully clear and detailed. I admire your patience–waiting for the right moment to shoot. Are you waiting a long while? 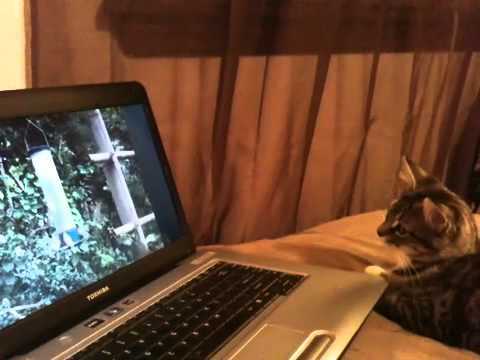 I have my computer desk by a window with the screen removed that functions like a computerized bird hide so I multi-task, much like this cat, although my goal is conservation! Oh!!! That’s your secret method!! Great idea. An absolut wonderful collection of adorable creatures, Cindy! You are such a lovely soul Klausbernd. Thank you. Well thank you & it’s lovely to meet you! 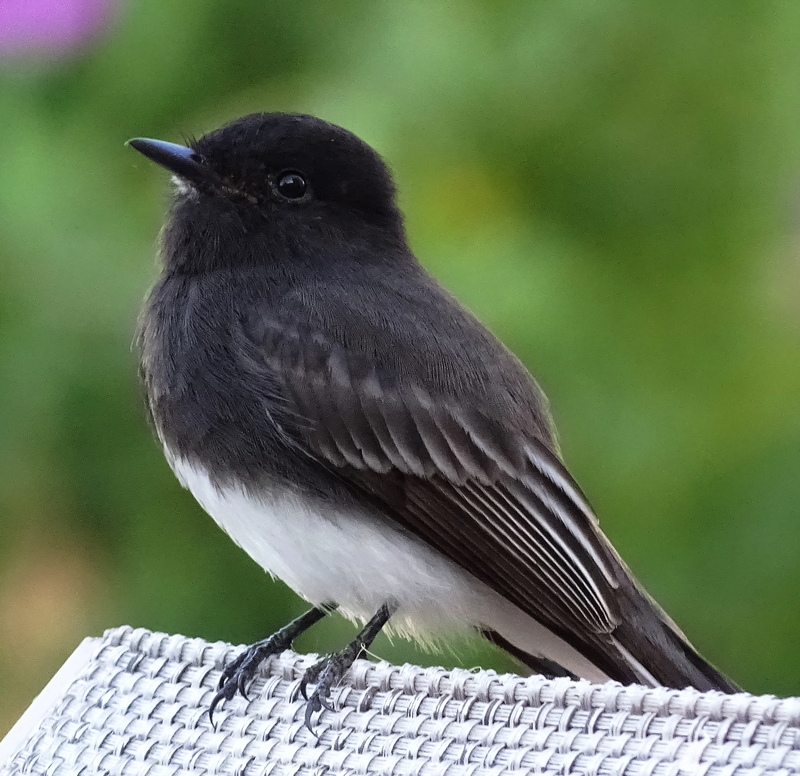 The Black Phoebe is so cute! They are so beautiful! 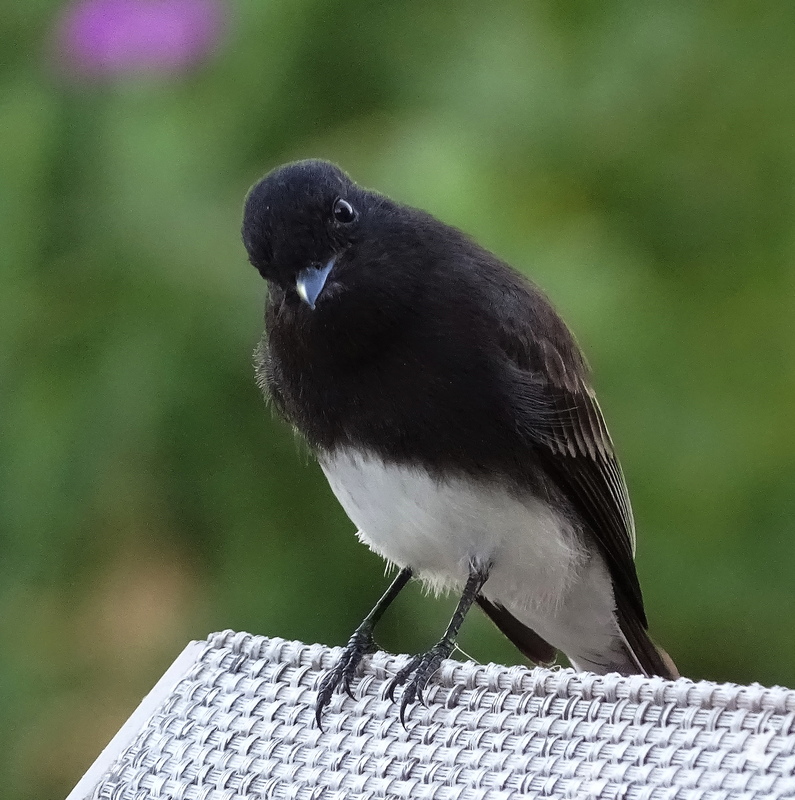 but the black phoebe’s is very smart! Thank you & yes, the Phoebe is smart, sweet and a most dexterous flier! It seems your feathered friends are keeping an eye on you. Fortunately for us, you are keeping your focus on them. Thanks for sharing them Cindy! Beautiful selection of birds. Thanks for sharing photos. Thank you more for taking the time to appreciate them!